Have you lost or misplaced and want Duplicate Aadhar card? What will you do now? How to get new Aadhar card? What is the process to get duplicate Aadhar Card? Don’t worry! All your answers are explained here under. 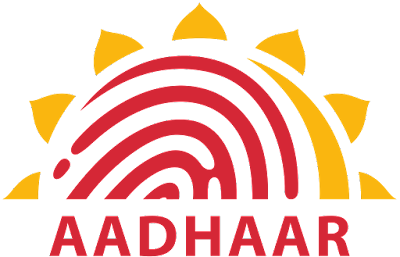 Aadhar is a 12 digit individual identification number authorized by the Unique Identification Authority of India on the behalf of the government of India. This number serves as a proof of identity and address anywhere in India. In addition, Aadhar card received by the India post and e-Aadhar downloaded from UIDAI website are similarly valid. Any individual, irrespective of age and gender, who is inhabitant of India and meets the verification process laid down by UIDAI can register for Aadhar card. You can enroll Aadhar card once and it is free of cost. Moreover, each Aadhar number will be unique and will remain valid for lifetime. Here are step by step instructions on how to get duplicate Aadhar Card. 1. First of all, you will have to visit the official website of Aadhar card https://resident.uidai.net.in/find-uid-eid. 2. After that, you will be given options “Aadhar Number (UID)” or “Enrollment Number (EID)”, under “You want to receive your lost”. 3. Now, you have to enter your full name. 5. Then, enter your registered Mobile Number. 6. Now, you have to enter the security code and press “Get OTP” button. 7. OTP (One Time Password) will be sent to your mobile number and email address. 8. Enter OTP in the box given and click on “Verify OTP”. 9. After you verify your One Time Password, you will receive message on your mobile stating your “AADHAR CARD number” and “Enrollment ID”. 10. After that, you will have to log on to the website https://eaadhaar.uidai.gov.in/. 11. Now, you will get two options “Enrollment ID” or “Aadhar” under “I have”. Choose the correct one. 12. Now, enter your Aadhar card number or Enrollment ID, full name, pin code, security text, and mobile number. 13. Below that, there will be “Get one time password”. Click on it. 14. You will receive one time password (OTP) on your registered mobile number. 15. Enter the OTP in “Enter OTP” box and then click on “Validate and Download” button. 16. After that your e-Aadhar card will be downloaded. 17. Enter your PIN code as the password when you open a “PDF” document. 18. Now, you have your e-Aadhar card. You will have to take a print out of it. This is the procedure to get duplicate Aadhar card. In another way, you can also contact UIDAI through toll free number and ask to search your Aadhar card information on the basis of your personal details like name, address, mobile number, and date of birth. You can call on 1800 300 1947 and send Email ID help@uidai.gov.in. Moreover, they will also help you to send your duplicate Aadhar card to your registered postal address, to your registered email ID, and will send SMS to you the Aadhar number details to your registered mobile number. In addition, if you are not able to call them you can visit the nearest regional Aadhar card office of your area and tell them about your lost Aadhar card. At that time, you need to bring all the documents you have submitted before. 6. Other miscellaneous reasons like PAN card, Voter ID, Passport, Property Transactions. These are the sectors where Aadhar card is used and it helps you to verify your identity and also works as an address proof. Remember, if you lost your Aadhar card and you want to get a new one then you must have your enrollment slip. Without enrollment slip it will be bit difficult to get your registered information. If you have any queries regarding how to get duplicate Aadhar Card, then please leave comment below.